University of Baghdad still keeps pace with the global scientific development taking place in European universities through the participation of its faculty members in all international scientific activities.The latest of these achievements is by the selection of Dr. Ayad Kadhim Zughayyar a faculty member in the college of Science at Baghdad University and director of the Department of scholarships and Cultural Relations at the university as one of the Top 100 scientific figures within his field in 2014 by the international biographical Foundation center. 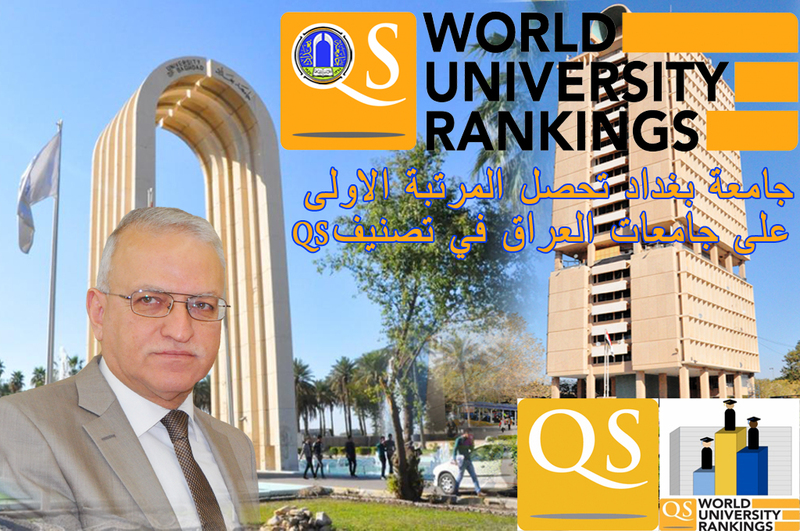 University of Baghdad has won the first rank among the Iraqi universities and eighteenth rank among the 100 Arab universities of QS which is devoted to the Arab region of 2015.Accordingly , university of Baghdad has proceeded eight ranks of QS of the last year 2014 where it has gained the twenty sixth rank. The above mentioned classification has pointed out that University of Baghdad has gained a big difference with the University of Babylon by (20) ranks , which has got the second rank upon the Iraqi universities. 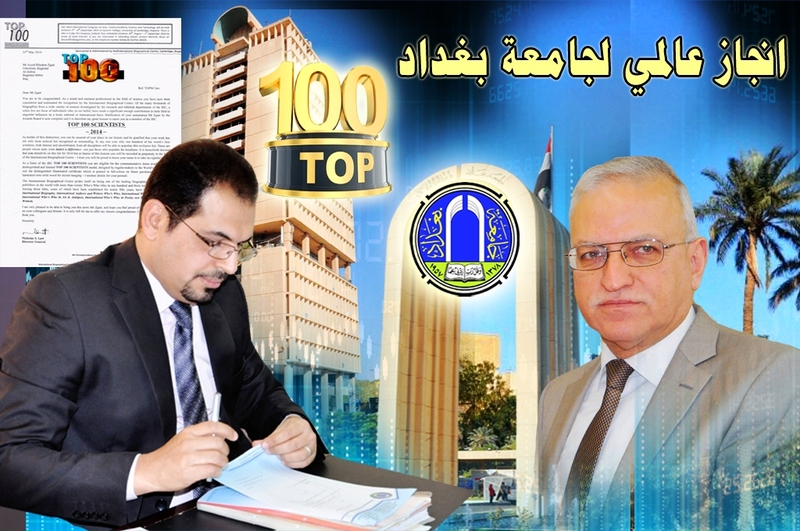 On his part, Prof. Dr. Alaa’ Abdulrasul ,the president of the university , has congratulated all formations of the university and its staff for this great progress in the Arab and international classifications, which has come as a result of the great efforts for the elevation of university of Baghdad. A scientific seminar at the college of nursing on the scientific inimitability in the Holy Quran. In the presence of the Spanish ambassador, college of languages holds an exhibition documenting its accomplishments for 2014-2015. College of Islamic sciences celebrates the holy birth of Imam Ali. The president of Baghdad university receives the director general of civil defense. The scientific assistant of the university president inspects the conduct of examinations at the college of administration and economics. Institute of genetic engineering discusses the industrial applications of enzymes. University president receives a letter of thanks from the Director General of UNESCO.